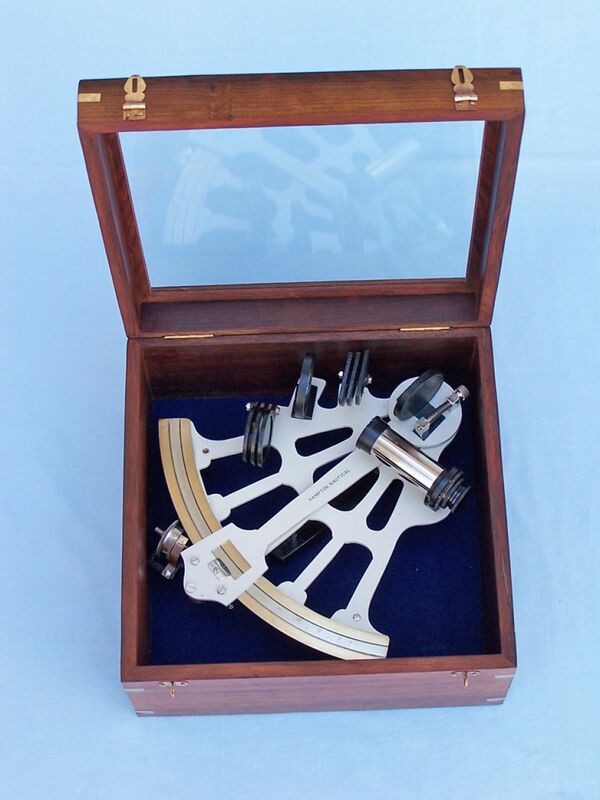 Black / White Sextant & Micrometer with Rosewood Box 11"
This uniquely styled white and black powder coated sextant is a beautifully crafted nautical piece that adds an interesting part of maritime history to any collection. 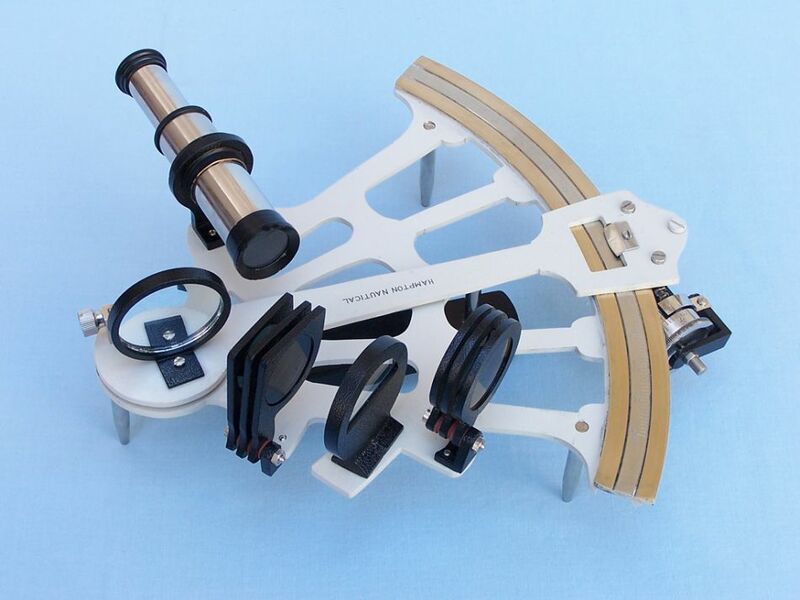 Complete with a spectacular white and black powder finish, this sextant brings an air of class and sophistication to any room in which it is displayed. 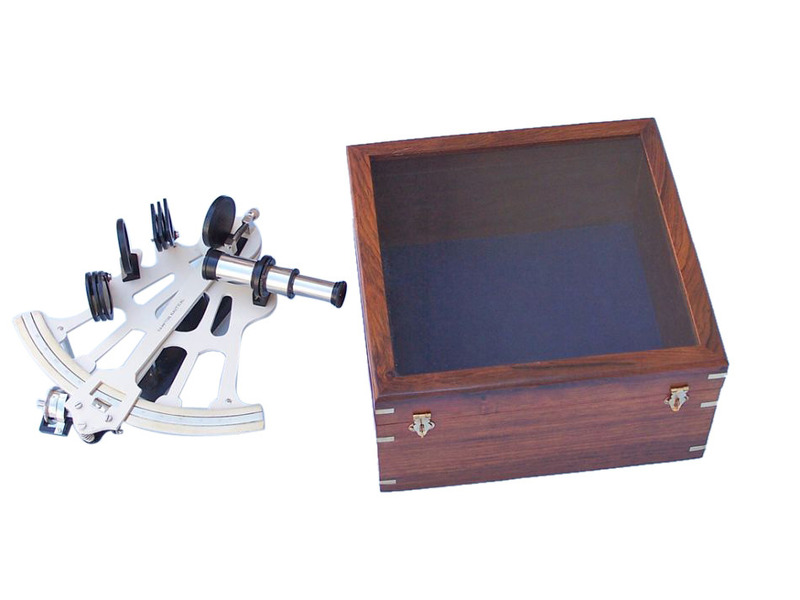 Not only a sextant, this piece features a gorgeous wood box with a glass top to serve as an executive display case for this precious nautical instrument. 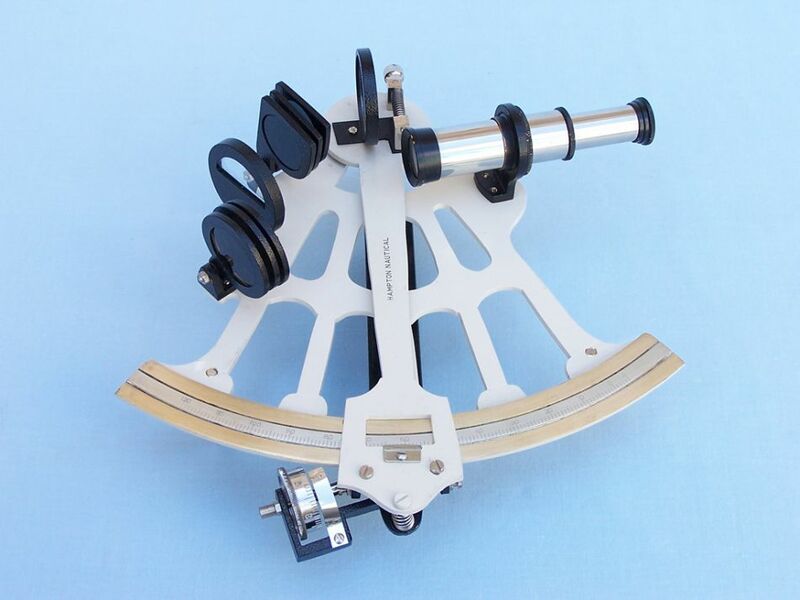 This functional sextant can be placed on any desk, table, shelf, or display case to add a wonderfully constructed conversation piece to your home, office, or boat. As European powers continued to expand across the sea, demand for devices that allowed for accurate navigation increased exponentially. The invention of the nautical compass had allowed sailors to venture out onto the open ocean for the first time, and after Marco Polo’s legendary journey to the East in the 15th century, ever increasing trade became a high priority. 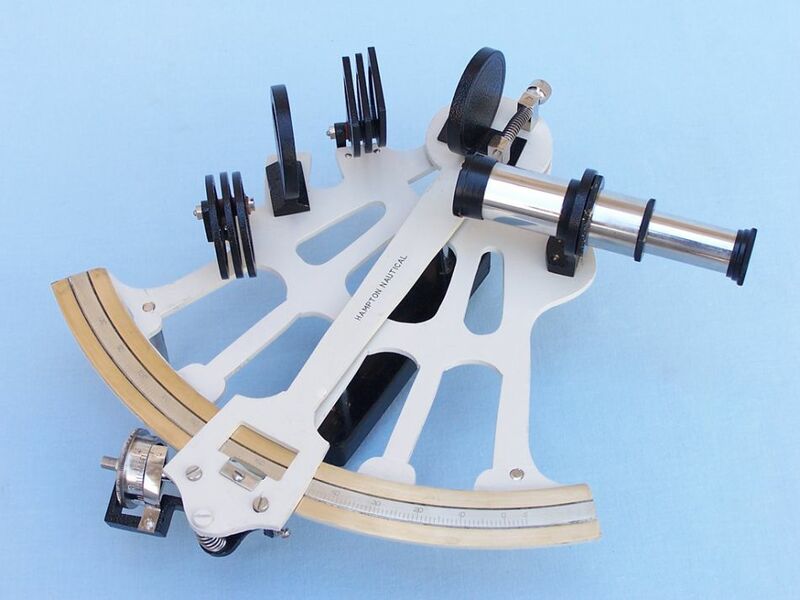 Without the assistance of sextant navigation, Polo had sailed around the coast of Africa to explore China and the Far East and returned with stories that ignited imaginations as well as greed. 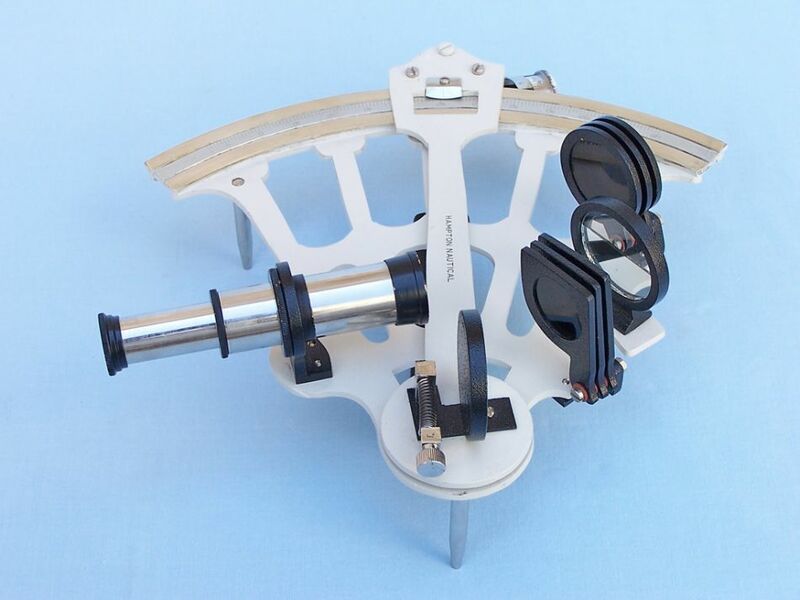 Over the next couple hundred years navigation at sea became much more stable, yet still was lacking true accuracy. 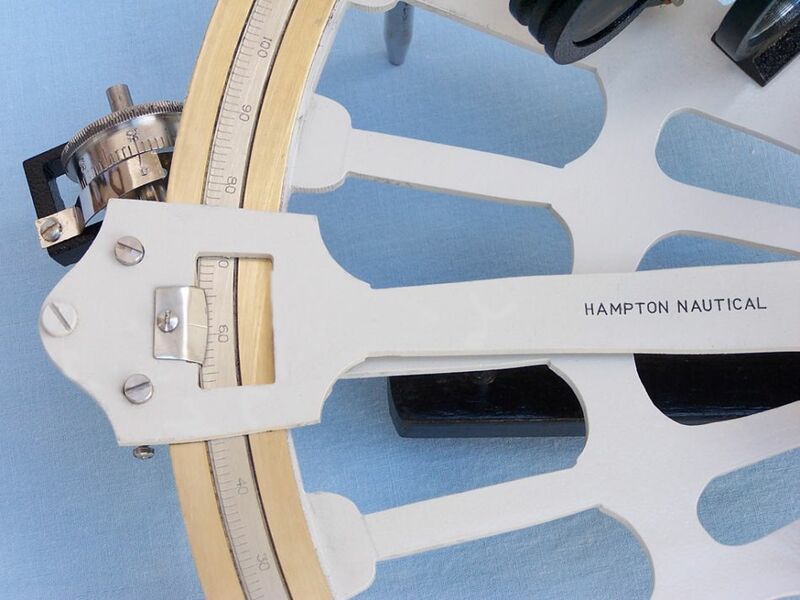 With the development of the celestial navigation sextant, however, navigation was transformed and by the mid 1700s, sextants had become one of the five essential tools of sailing, along with the telescope, compass, globe, and hourglass. Exploration and trade prospects aside, around this time safety on the open ocean became a grave concern for the European sailing powers. 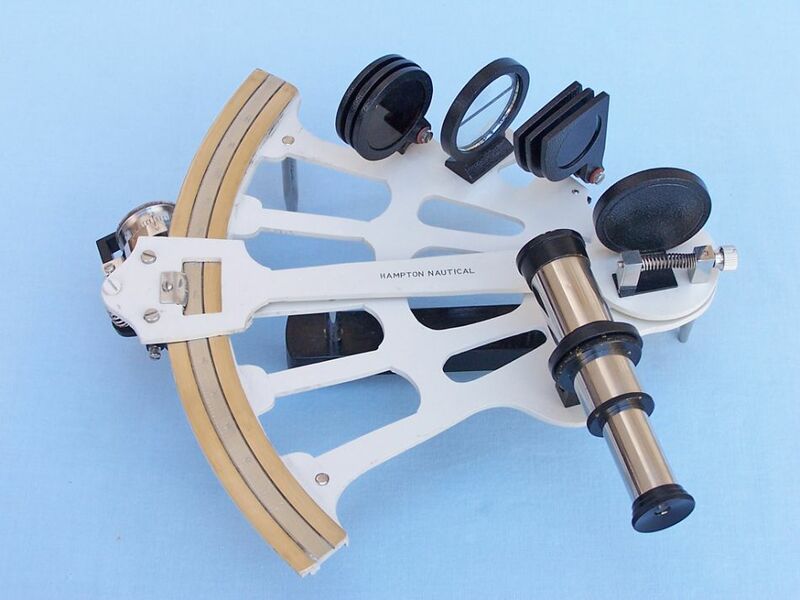 Without sextants, Britain had lost entire squadrons of vessels between 1691 and 1711 alone, and countless other ships and sailors had concluded their service at the bottom of the ocean because of poor navigation. Wanting to preserve the integrity of their naval might, the British government offered a massive reward to someone who could correctly determine longitude at sea, one of the trickiest problems. 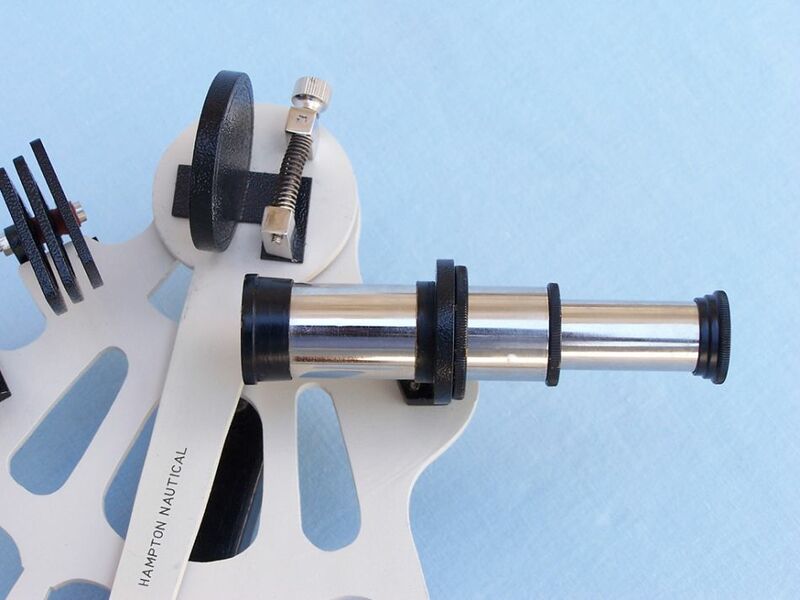 With many inventors, craftsmen, and artisans working towards this goal, it was only a matter of time before a breakthrough was made, eventually leading to the invention of sextants.